For my world I would need a really large swamp (or similar kind of wetland). It should be about 200km in diameter, which should be quite possible given a large enough flat terrain and enough rain. The problem is that this environment needs to be completely isolated from the mainland: my small humanoids (around 70cm high), that have a technological level similar to that of natives of the Amazon basin, shouln't be able to reach the mainland or, if possible, shouldn't even know of it's existence. Unfortunately, putting the swamp in the middle of the ocean like an island isn't an option, as the kind of plants able to grow in such saline environments are not suited to the environment I want to create. Is it even possible for a swamp to exist in the middle of such a large lake? I know It's possible for large lakes to have currents, winds and tidal movements, and even seasonal currents, like the Great Lakes; but could there be any conditions under which these currents and winds are so strong as to make it impossible for my civilization to cross this barrier? This could also help justify their knowledge of the existence of the mainland without any settlers there, and could lead to quite a bit of mythology I might get interested in. A flat area to collect water that slowly drains out (you want a swamp, not a lake). Somewhere for water to collect that feeds water into the flat area (mountains) around a large portion of the flat area so you don't have just one source cutting a river channel through it. If you have impassible mountains around a good chunk of the swamp and ocean on the free edge(s), it is unlikely that you will have a lot of traffic to the area. It seems to me that you are looking for something very like the Amazon Basin you mentioned. You could, essentially, make South America an island but you said that you don't want an island. If you make the mountains taller, you can cut the area off from the rest of the mainland. the trick is to have them tall enough that even the passes are well above the tree line. That way the only way to the swamp is to sail there. In this scenario, the swamp could well be seen as "past the edge of the world." Put it on a mountaintop. 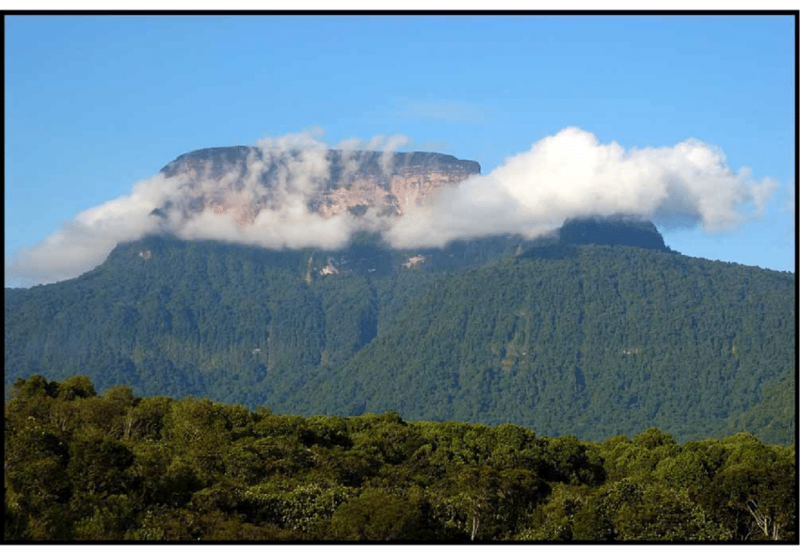 Here is Maringma-tepui from a distance. When I was in Kauai, I went up onto a mountaintop and was surprised to find a swamp with boardwalks up there. The coolest thing were all the tiny sundew flower - these mountaintop swamps are nitrogen poor but rich in insects that get blown up there, and so good habitats for carnivorous plants. What you need is a depression up there that can collect water and a substrate that prevents it from draining away. 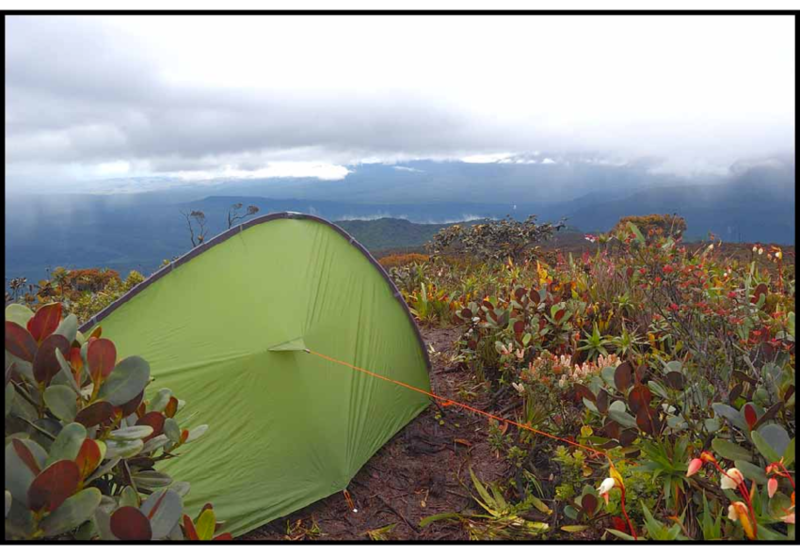 Tepuis have been used as isolated habitats in lots of fictions - their steep walls limit access and egress and all sorts of weird stuff might be hiding on top. The top of a steep sided tepui would be perfect for your swamp people. Not the answer you're looking for? Browse other questions tagged reality-check geography water-bodies or ask your own question. How can I form a large swamp? How could a species survive on just luring in and eating humans? Feasibility and effectiveness of a Gravity Hammer? Basin on a mountaintop plateau - how to keep the water salty?